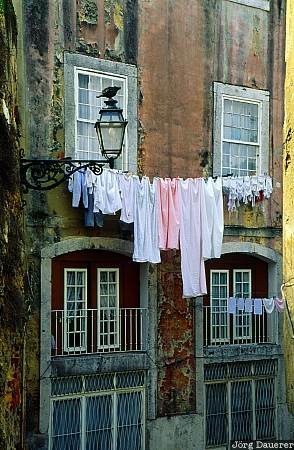 Laundry drying in a narrow alley of Alfama which is a part of Lisbon with a street lamp in the foreground. Lisbon is the capital of Portugal. This photo was taken on a cloudy day in May of 2000.